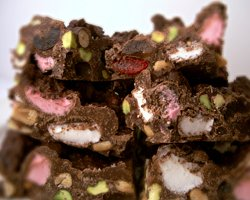 This is my recipe for the absolute BEST rocky road EVER !! AND it only takes 15 minutes to make. Makes fabulous Christmas gift if packed in a tall glass jar and with a pretty label listing ingredients. Melt the chocolate either over a double boiler or in the microwave for a minute and a half in a heat proof bowl. Pour mixture onto a tray covered with baking paper and spread out. Pop in fridge until chocolate hardens. 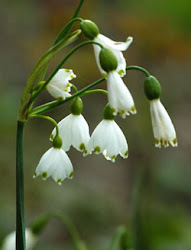 Cut into pieces and either put in gift bags/jars or simply EAT IT !! Impossible to resist - but if you can, it will last about 2 weeks fresh in the fridge.